Each three-year-old who comes to one of the three thousand libraries participating in the project will receive, as a gift, a Reading Layette including a book Pierwsze wiersze dla... (“First Poems For…”) - a collection of poems for children by eminent Polish poets, beautifully illustrated by Ewa Kozyra-Pawlak and Paweł Pawlak, a brochure for parents Książką połączeni, czyli o roli czytania w życiu dziecka (“Connected by a Book: the Role of Reading in a Child's Life”), which reminds them about the benefits of reading, as well as a Little Reader’s Card for them to collect stickers. 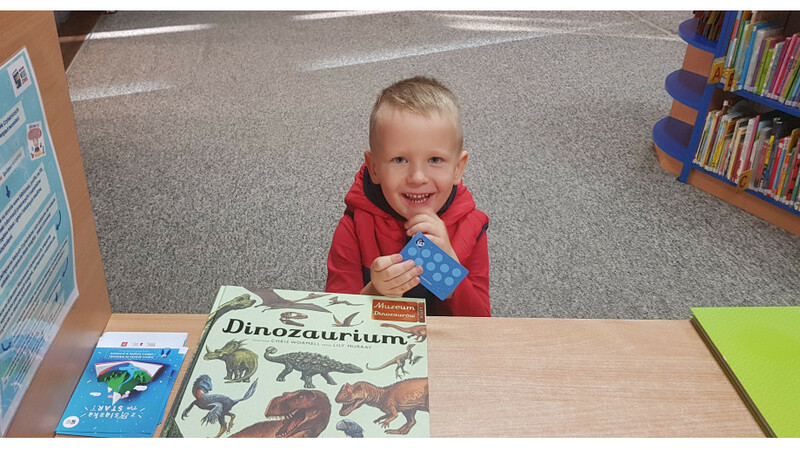 For each visit to the library resulting in borrowing at least one book from the children's book collection, the Little Reader will receive a sticker, and, after having collected ten of them, they will be honoured with a personal certificate confirming their reading interests. Readers’ Layettes are waiting for three-year-olds in 3000 public libraries all over Poland. The list of libraries involved in the project can be found here. Since the beginning of the campaign, thirteen thousand layettes have been distributed to three-year-olds, thanks to which the libraries have attracted over ten thousand new readers. We hope that their number will continue to grow and that both children and their parents will become regular visitors to libraries!